This Celestron Astro Fi 5 "Schmidt-Cassegrain catadioptric telescope has a mirror diameter of 125. The high-quality coating on the mirror provides 40% more light and comes with a sturdy aluminum tripod with a GoTo function. especially suitable for deep-sky observations.Also with this telescope astrophotography is possible. The Celestron Astro Fi 5 "catadioptric telescope has a Schmidt-Cassegrain construction with a 125-millimeter primary mirror, thanks to its catadioptric construction, the telescope has a focal length of 1250 millimeters, and a shorter focal length means less light will be lost and you'll get a sharper focus. On the telescope is a StarPointer Red Dot viewfinder, with which you can easily find celestial objects.The telescope is very suitable for deep-sky observations. 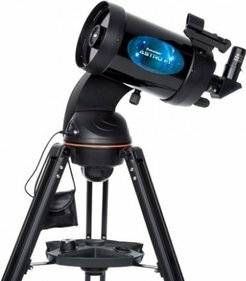 The telescope and mount are equipped with a complete GoTo system. With this very handy system, the telescope can automatically look up celestial objects for you. In the system, 120,000 celestial bodies are preprogrammed, which makes looking with a telescope much easier. The GoTo system provides extensive information about the most viewed celestial bodies. 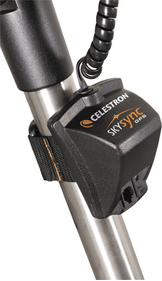 You can control the telescope with a tablet or smartphone via the free downloadable Celestron SkyPortal app. 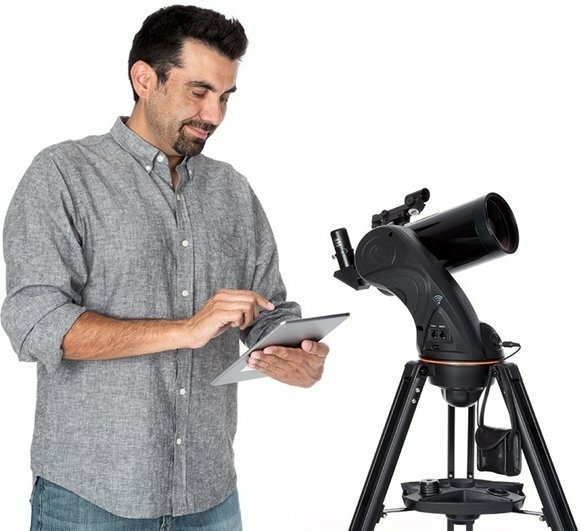 To be able to control your telescope via your phone or tablet, you only need a Wi-Fi connection. 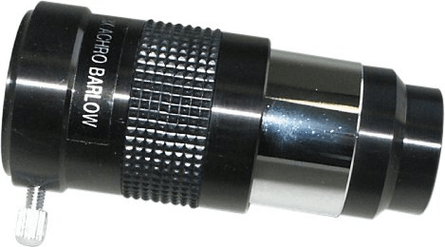 The tripod that comes with this telescope is an azimuthal tripod with very sturdy aluminum legs. This tripod is very easy to fold or set up. 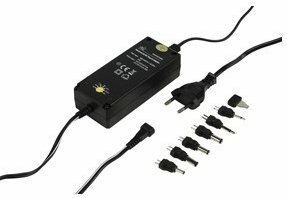 In addition, it is light weight and therefore easy to use on location. The tripod has a motor that is fully computer controlled. With this handy tracking motor you can easily follow objects in the universe. 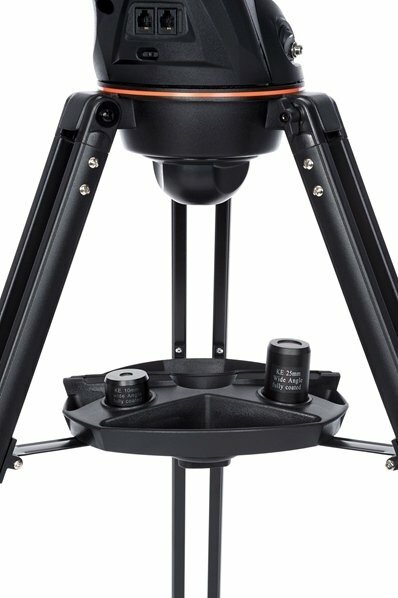 This type of tripod is highly recommended for astrophotographers. 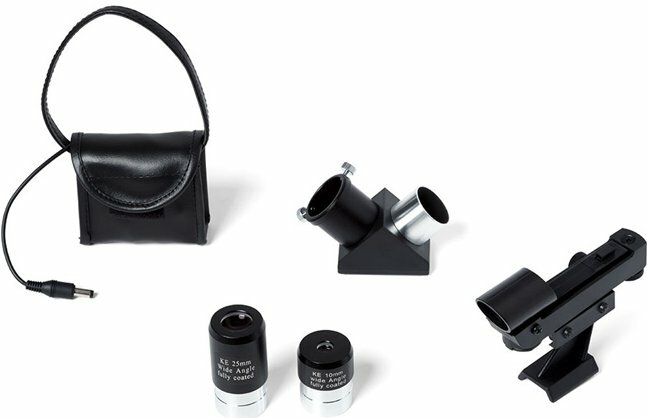 If you want to use the telescope for astrophotography, you will need a matching camera adapter and a T2 ring. The tracking motor of the tripod is powered by eight AA batteries, these batteries are not included. 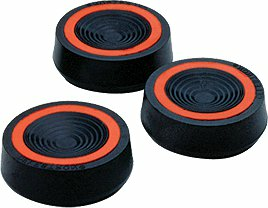 The 125 millimeter lens is equipped with the Celestron StarBright XLT coating. Thanks to the coating used, the collected light is distributed more evenly, making the light output higher and the image sharper. The coating consists of several layers, Celestron has made use of aluminum, titanium and magnesium, among other things, to make the coating as effective and strong as possible. Write a review By sharing your experience with the Celestron Astro Fi 5 Schmidt-Cassegrain catadioptric telescope, you can help others (perhaps still doubting customers) with making a good choice.